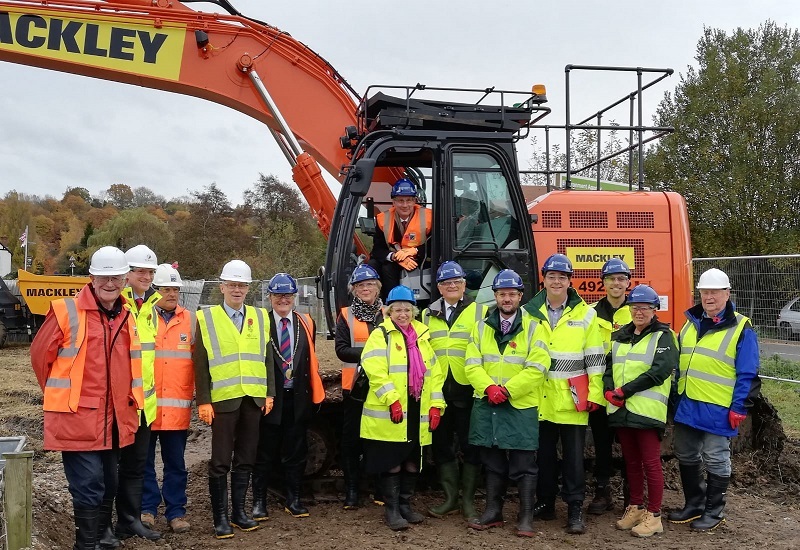 Work on a new £4.5m flood alleviation scheme in the Surrey town of Godalming has recently got underway – with the local MP Jeremy Hunt paying a visit to site on 9 November. Situated on the River Wey, Godalming has a long history of flooding, with four notable events in recent years (1968, 1990, 2000 and 2013). During the most recent flooding in 2013, the Meadrow and Catteshall Road area was flooded, restricting access from Meadrow to Godalming. The Godalming Flood Alleviation Scheme is being carried out by Team Van Oord on behalf of a partnership comprising the Environment Agency, Surrey County Council, Waverley Borough Council, Godalming Town Council, Thames Water, Scottish and Southern Electricity and the Godalming Flood Group. Work got underway in October and includes the construction of a 525m-long sheet pile wall along the bank of ‘Hell Ditch’. A bespoke demountable flood barrier will be installed on Catteshall Bridge, which can be closed when river levels rise. Once complete, the project will reduce the flood risk to at least 90 homes in the vicinity and will help keep Meadrow open during floods. 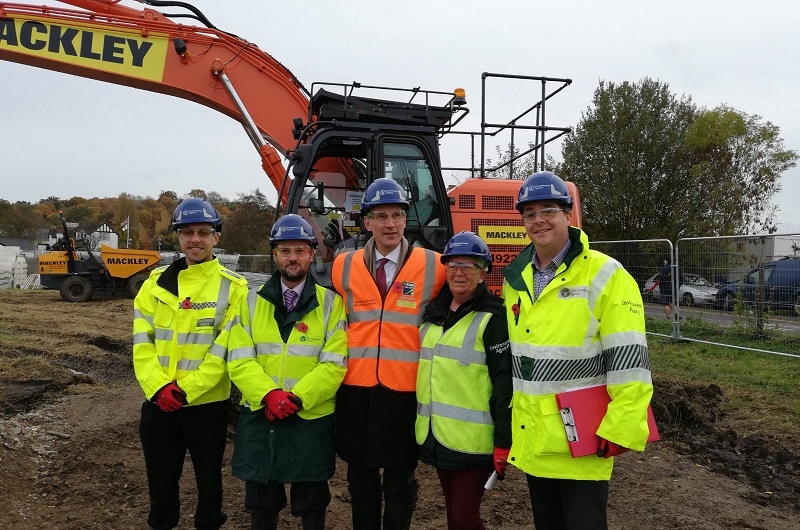 On 9 November, Jeremy Hunt, MP for South West Surrey, paid a visit to the site, accompanied by councillors from Surrey County Council and Waverley Borough Council. “The start of works on this scheme are the culmination of several years’ planning and hard work by many local organisations and people. Now we finally know the work is going ahead we can all breathe a huge sigh of relief. “We are delighted to host this visit to show that this scheme has now begun to help reduce flood risk for the residents in the area. The target date for completion is summer 2019, subject to weather conditions.